Broccoli and Orzo is an easy, kid-friendly side dish which combines orzo – a rice shaped pasta with fresh broccoli, garlic and oil. 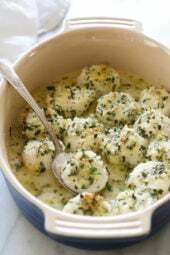 It’s also quick to whip up, and makes a perfect side for fish or chicken or enjoy it as a main meal by increasing the servings. This works great with any small pasta shape. I make this often and everyone loves it, sometimes I even enjoy it alone for lunch by doubling the portion. Enjoy! 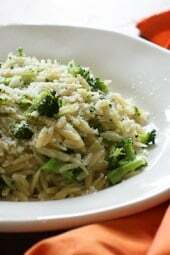 A simple side dish which combines orzo, a rice shaped pasta with fresh broccoli, garlic and oil. A perfect side for fish or chicken or enjoy it as a main meal. Trim stems off broccoli, cut into small pieces and season with salt. Steam covered with a little water until cooked, careful not to overcook. When broccoli is cooked, remove from pan and chop into smaller pieces. Meanwhile, cook pasta in medium pot of salted water as directed for al dente. Reserve about 1/2 cup liquid before draining. Drain orzo in a colander and add the oil to the pot. Saute garlic a few minutes until golden, add broccoli, season with salt and mix well. Add orzo and stir to combine all. Add a little reserved liquid as needed so pasta isn’t dry. Serve with freshly grated cheese if desired (optional). Followed the recipe exactly. Just tasted like broccoli and orzo mixed together. Quite bland. A little bland. I don’t mind eating plain veggies, but I’d rather have some sauce on my pasta. Freshco and Metro stores have them. Also found at Sobeys. This is cooking right now! Looking forward to it! I’ve made several recipes and all are delicious so I expect this one will be too 🙂 Only issue I have is that when I use my WW calculator (on the app) points are higher. This is pretty consistent with all recipes on this site. Are your numbers current?? I wonder how this would taste cold. I think this sounds delicious, but a serving is only 1/4 cup? Ouch. That makes me sad. I’m surprised no one has commented yet on the small serving size. Maybe I’m a bigger pasta eater than others? Yup! You were right – my kids loved this! Always good when you can find a new way to use broccoli so the kids won’t tire of it. Thanks Gina! We wanted to love this since it’s so nice and simple but unfortunately we found it a little bland. Nothing horrible about it but nothing great either. Could possibly just need more seasoning but we haven’t made it again to try. Making this tomorrow, but adding in shrimp to make it a fuller lunch for work. So excited to try! Has anyone cooked this a day ahead and heated it up the next. Having a party and need to have all food cooked prior. Made this tonight. Yum! Great side dish to grilled chicken. Do you serve this hot or cold? I’m thinking either? Maybe some feta on top? Loved it but made the following changes. I had no idea what 4.5 oz of dry orzo was so I eyeballed it. I cooked the pasta and brocolli both in lowfat/low sodium chicken stock. I added a lot more brocolli than called for and some artichoke hearts. Although it called for Parmesan I didn’t add it and it didn’t need it. It was over the top delicious served with baked salmon. Great taste and easy, but I came ip with 6pts for 1/4 cup serving. My husband and I LOVE this recipe, and have it about once a week. Because we use it as a main dish, I use about 1 cup of uncooked orzo and two bunches of broccoli, but I don't increase the other ingredients. I also add a sprinkle of red pepper flakes when I'm sautéing the garlic, which gives it a little heat without being overpowering. I'm not a weight watcher, so someone else will have to figure out the points on this one. It makes 4 to 5 generous servings. I was out of orzo, so I subbed farro and it was awesome. 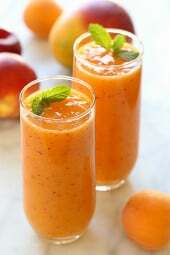 Gina, love your recipes and this website! I've tried a bunch of your recipes with great success! But I have to say this one was bland. I ended up adding a good deal of parmesan and then squeezed almost a whole lemon into it. The lemon definitely helped. I doubled it, added carrots and brought it to a potluck tonight. It went fast and I got great comments on it. It was easy and yummy. 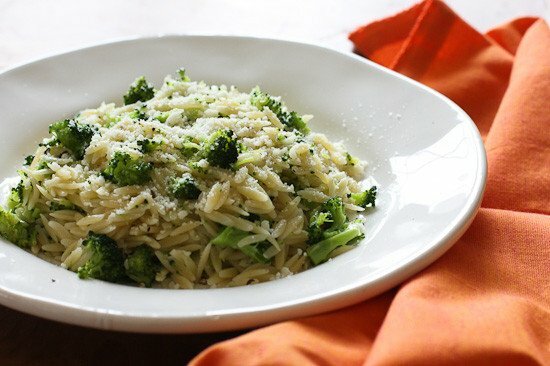 This was great, I made my roasted broccoli and added it to the garlic orzo with a squeeze of lemon and grated parm! Yum I LOVED this! I had it for lunch with the Dijon baked chicken and it was a wonderful meal. I used whole wheat orzo and added 1/4 cup Parmesan cheese and it was very filling. This was exactly the kind of side I was looking for! I made it with whole wheat pearl couscous instead of orzo and it was wonderful. I served it with with your lemon feta chicken with oregano. It was so simple and turned out to be a huge success! Thank you! This was unbelievably good! So much more than I expected! The best part was my whole family loved it! The only change I will make is doubling it next time! Hmm I wonder how this would be with cream of mushroom? I have made this both with Orzo and Bowtie pasta. Tasted great both times. Definitely a keeper, as it is one of the only ways to get me to eat the tops of broccoli. Just wanted to let you know that I absolutely fell in love with "Skinny Taste" after seeing some of your recipes on Pinterest. I am on weight watchers and your recipes are AMAZING. Making this orzo tonight for dinner and had your lightened Cajun Chicken Pasta last night, lucky for me my bf didn't woof it all down last night and I get to enjoy it once more for lunch today. 🙂 Thx for all you do! Simply love Orzo and combing the veggies is a great way to add to sides together. I need to make more sides and this one looks like a lot of fun to make and play with. Made this tonight, with some grilled chicken. Tomorrows lunch for me and hubby is set, just chopped up some chicken and lunch is ready, no fuss in the morning! Thanks for a great dish, it's a keeper! I have made this twice now. The first time I sauteed some spinach and added it in to the mixture with the broccoli, and it was really good that way, too. I have not needed to use the reserved liquid either time I have made it. I especially like this recipe because it is so simple. Now that you wrote it out for me, I can think about doing it without having to look up the recipe. 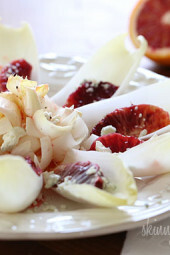 It is a great side dish when I don't feel like having just straight vegetables. With the diet changes I have made, I started buying the bags of broccoli florets to have on hand for dipping and snacks for the middle of the day, so I have these ingredients on hand all the time. How many cups is 4.5 oz of Orzo Pasta? According to my scale it's roughly 3/4 cup. This might be good with couscous too! Looks delicious! I am never disappointed when I come to your website looking for a healthy meal to serve my family. Your site is such a great resource and I never leave without finding at least a couple new things to try. Thanks so much!! I made this recipe with Whole wheat orzo and the taste was flat. Only thing that fixed it was a big mound of parm and salt. If I would make this again, it would need a taste overhaul! This looks simple and easy – perfect for a weeknight dinner. I haven't cooked orzo before, but seems straight-forward. I mde this for dinner last night. It was to die for!!!!! Honey ate two big servings! I add some chopped grilled chicken breast that I needed to use and some red pepper flakes. I think I could eat this everyday—it is really that good! Thanks Gina! Is this meant to be served hot or cold? Thanks for reposting with a picture! I bought Orzo yesterday in an effort to lessen the amount of meat eaten each day! Yum! This looks like it would be so great with a sprinkle of Parmesan. So simple too! This is really pretty and simple. I love recipes like this. Can't wait to try it. I REALLY want to make this for dinner tonight, but with the 103 degree temps here, I think I'll try one of your cold salads instead. We'll enjoy this one later in the week. Thanks so much, Gina! I just bought some orzo today for the first time. This is on my menu for tomorrow night after a quick trip to get some broccoli! Yum! Looks Fantastic, I will try tonite!!!!! I made this for lunch today and it was delicious!!! Thanks for yet another great recipe Gina! all recipes look great. I have a pkg. Of orzo in my pantry….I will have to make it soon. YUM! This looks so good.. can't wait to try it! I love orzo….always use it…even in soups. Adding the broccoli and maybe some cheese would make it great. thank you for all your great recipes. Thanks, Gina, for another great recipe. I like how easy this one is! For those that want a source for whole wheat orzo, I buy Rice Selects Whole Wheat Orzo through Amazon on the Subscribe and Save program. I am a personal chef and only use whole wheat and whole grain products and I am very happy with the Rice Selects brand. Each 1/3 cup dry serving has 195 cal, 1g fat, 39g carb, 9g fiber (yes, 9!) and 7g protein. Thanks Gina for helping so many eat well AND healthy! Yes! I buy rice selects at Wild By Nature, but if Amazon carries it, perfect! I love everything about this dish – the simplicity of it and all of its wonderful flavors! I added a little parmesan cheese to the mix and also fat-free chicken broth instead of the orzo water. I followed this advice, doubled the recipe and added 1/2 cup of parmesan cheese. It's incredibly delicious and I'll have it on hand for a few days. So simple and so flavorful. Thanks Gina! I did the same thing (prior to seeing this comment) and it was tasty. Dont think I would have liked it otherwise. Great idea with the chicken broth. I always use low sodium chicken broth for my pilaf with orzo and it's amazing! Oh wow, this looks fantastic! I could go for some of this orzo! I tried this dish tonight-it is great! The broccoli was falvored perfectly by the garlic! I am trying this tonight! I can't wait!!! This has become one of my go-to side dishes. It's delicious, thank you! The dish is amazing! I highly recommend it. this looks great! I just tried the WW honey mango barbecue chicken for lunch today, and it had an orzo side dish that this reminded me of. Can’t wait to try your recipe with broccoli and spinach. ooh, i like your idea of added spinach, i will have to give it a try!